In the past I’ve written on CRM, customer experience, customer engagement, and a myriad of other topics all tied together, and I’ve highlighted the similarities, synergies, and differences. Here I’m taking a slight left turn and focusing on how to design for customer engagement. When it comes to expertise in this area, I will always defer to industry colleague Brian Solis (a principal analyst at Altimeter Group), but at the same time, I know a fair amount, so let me give you some idea of how to go about building out the customer engagement user experience. Why this subject? With all the talk of customer engagement, if it truly concerns you, there are practical steps that must be taken. You have to have a framework, an outlook, a strategy, a program, a cohesive and aligned business operation, technology, metrics, and a cultural mandate to support it. Processes and business rules have to be in place. But it also means that you must know what customers are looking for when it comes to their relationship with you, and you must provide it to them in the most convenient, frictionless way possible without breaking the bank. 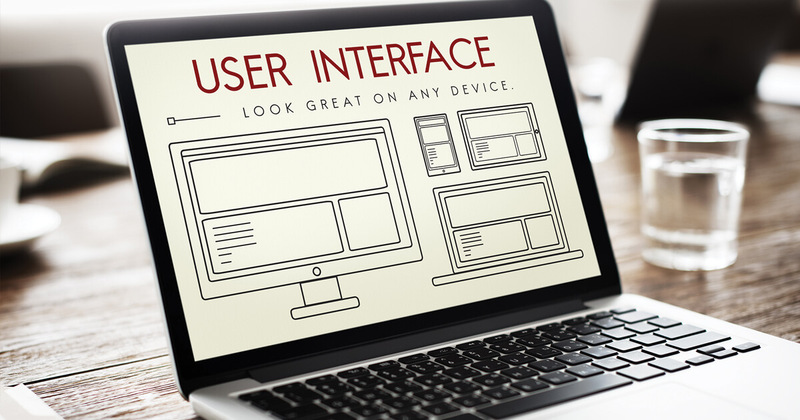 That’s where thinking about customer interactions comes in, and so how you design your user interface (UI) becomes a critical part of your approach. At a high level, then, how should the design look and feel? What makes it appealing to customers so that they want to experience it again and again? Frictionless interactions and navigation. Navigation via the interface should be easy. If your customers need to find something, getting there shouldn’t require digging through screen after screen. When they need a “contact us” button, they should be able to find it without wondering how to find it. Several years ago, a client of mine that shall remain nameless had no “contact us” button on its website because it basically lacked a contact center to deal with traffic, though it did have a skeletal customer service staff who could have fielded calls if customers could have figured out where to go to make them. Thus, with no outlets for the customer to vent or get easy problems solved, this company had a social media firestorm every time someone took a complaint to Twitter or to customer-service-focused websites or communities. Not smart. Convenience. This one is rarely talked about in program design but is an important consideration. Customers don’t only want easy navigation; they want things that are convenient to do. Essentially, it means you are well served engaging customers where they are, not making them have to get to you. This isn’t always necessary or even, at times, useful. But often it is a real opportunity to foster engagement. As a real-world example, something as simple as planning to make the move from adding delivery to what has been strictly carry-out yields significant opportunity. Personalized content. Not every customer is looking for personalized information—after all, new customers are still learning what your company provides—but the more loyal or long term or interested the customer, the more likely they are to want personalized content. But sometimes you may not know all the details about every individual. So you can utilize your customer advocates to build the case studies, tell the stories, and operate as extensions of your marketing department. Laura Ramos, a Forrester Research analyst and thought leader, found that when you build this kind of advocacy content to appeal to customers and prospects, there are four types that work: (1) content that validates (case studies, references, social media sharing); (2) content that educates (customer communities and user forums); (3) content that shows dedication is rewarded (MVP programs, referrals, speaking engagements for customer advocates); and (4) content that inspires (customer advisory boards, co-creation, and other forms of collaboration). These programs create activities and effort for customers but reward them in turn. Systems of engagement that are fun to engage. Systems of engagement—systems that are designed to foster communication and interaction between the company and its customers—are sort of obvious requirements. If customers can’t interact with you, what kind of experiences are you designing? I mean, really? But what should be considered when designing a UI is how customers want to communicate with you—and what the business feels is in its best interests to provide to customers for that communication. For example, “There’s an app for that” doesn’t apply when you are discussing co-creation on the scale of, say, General Electric or IBM and its business partners and customers. On the other hand, the idea that customers will interact with you if they enjoy the interaction is spot on. That opens the door to things like gamification or the creation of customer communities to foster relationships between customers and between customers and management. But the systems for the interactions, the engagement systems, should be interesting unto themselves. For example, you could create an informal back channel for your best customers to communicate with your management team—and make those designated team members easy to reach via Skype or Facebook or Twitter or WeChat and give them the leeway to be whoever it is they really are. Having the communications be engaging and relaxed and via familiar channels breaks down the barriers and makes the interactions fun—and special. That’s where systems of engagement coupled with programs that make specific customers feel valued in ways that are meaningful to them are a win-win for everyone concerned. A look and feel that’s emotionally appealing and consistent across communications media, but not necessarily identical. The idea that something is cool is palpable. And when it comes to what we’re interacting with, beauty isn’t skin-deep—it makes a difference. So when you see a site that is crowded with images, has a small font, and is filled with typos and misspellings, your response is simple: Ugh! But when you see stunning visuals highlighted by just enough text to help convey meaning, and the text is in a font that is large, colorful, and sharp, then you are not only engaged with the meaning of the visuals and text, but you feel good because the page looks good. But there are other considerations. Something that looks great on a landing page looks less so on a phone with a 5.5-inch screen—and what you do to moderate the look and feel for that mobile device isn’t necessarily what you do for a 10-inch tablet. While the look and feel must be consistent—the logo, the colors, etc.—they can’t be identical when it comes to the form factor. The content also needs to be consistent but not identical. How you present it in an email is going to be different from how you present it via a website or video. Flexibility. Recognize that your customers’ activities, moods, and behavior are going to be fluid over time. Their interests and passions will change, and so will their relationship with your company. Some of your customers will churn, some will be inert, some will be best left alone, and some will be enormously responsive to you—all at any given time. That means what you design today as a program for engagement might be great for a while and then be, let us say, not so great. So find out what works—test, test, test. You should spend the time needed to measure the results of customers’ activities, track their journeys, query their thinking, find out their likes and dislikes, and then do it again and again—and design and redesign accordingly. The reality is that in an era that everyone and their closest relatives are calling “the age of the customer,” too few companies are doing what has to be done to render the phrase meaningful beyond some marketing paean. In a nutshell, that’s to make sure customers get what they need so they want to come back. As I’ve preached for many years, dealing with customers is simple in principle, and that principle goes like this: If a customer likes and continues to like you, they will continue to do business with you. If they don’t, they won’t.